Holy Basil / 60 Vcaps - Nature's Way®. Holy Basil is an adaptogen that is native to India and is considered sacred in the Hindu culture. Known as the "queen of the herbs", Holy Basil is used for stress support. 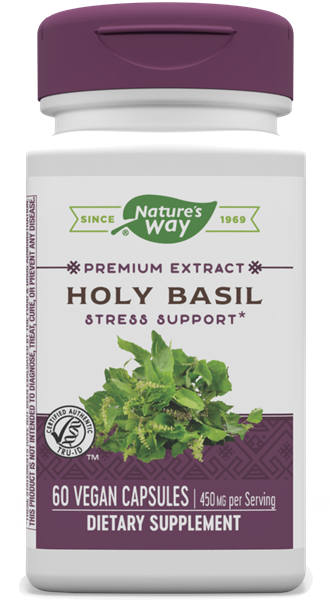 * Nature's Way® sources Holy Basil from India, where it grows best. Take 1 capsule twice daily. If pregnant, nursing, or taking any medications, consult a healthcare professional before use.